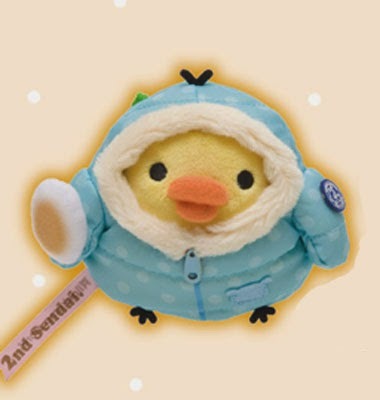 To commemorate the 2nd anniversary of Sendai Rilakkuma Store, San-X designed a series of Rilakkuma and friends wearing winter clothes with Sendai's specialities; Zunda mochi (ずんだ) and Sasakama (笹かま). Zunda Mochi is one of the local traditional wagashi, or Japanese cake, of Miyagi Prefecture. It is sweet mochi covered with soybean paste. Zunda paste is made from green soybeans which was mashed. It tastes fresh green soybeans and faintly sweet. 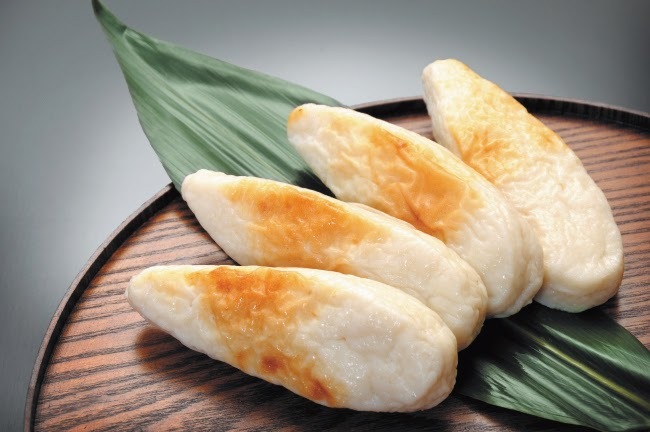 Kamaboko (steamed fish paste) is made by grinding up the white meat of fish, kneading it with salt, mirin (sweet cooking rice wine), sugar and starch and then steaming or roasting. 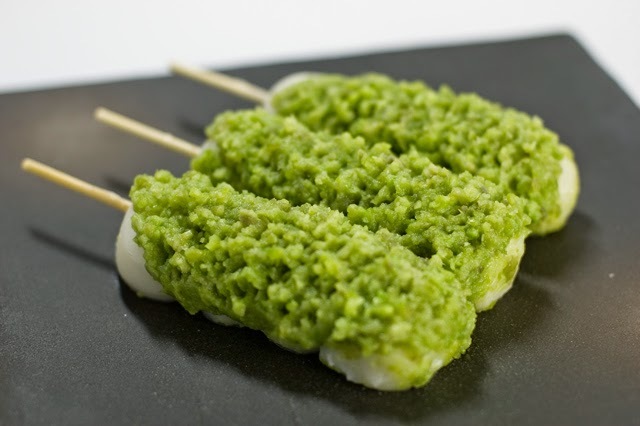 Sasakamaboko, however, is named after its bamboo (sasa) leaf shape, and the marks left from toasting. A specialty of Miyagi, it is a popular gift or souvenir. The most famous sasakamaboko is from Sendai, where rows of shops have prepared their home-made style for years. It is also produced in Shiogama, Ishinomaki, Kesennuma, Watari and Onagawa. Some say that it originates from minced fish made into paste by hand and grilled in order to preserve the seasonal catch of flounder. Rilakkuma holding to a sasakama. Korilakkuma holding onto a Zunda mochi. Kiiroitori holding a Zunda mochi. 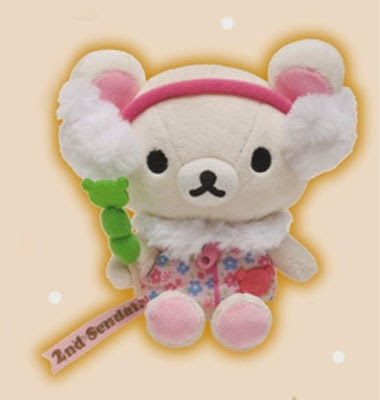 Dimensions of these plushies are estimated to be like those of Umeda's which will be SS plush sizes. These plushies are set to be released in Japan on 1 Nov 2014. 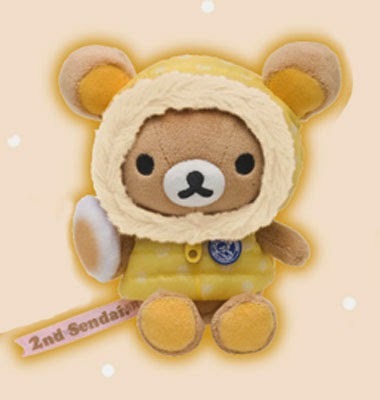 Rilakkuma Shop is now having a pre-order session for these plushies at www.buyrilakkuma.com. Closing date for these plushies is 30 Oct 2014, 2359 hrs. 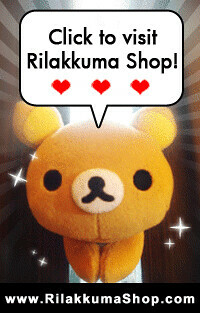 Feel free to contact us at contact.rilakkuma@gmail.com for any enquiries!